Whizolosophy | What is fear? Emotions play an important part in our daily lives. Fear is one such emotion that is pre-programmed into all animals and people as an instinctual response to potential danger. People who have experienced this will often remember the moment when disaster stuck and how time seemed to slow down. They knew exactly what to do without consciously thinking about it, they had great strength (some have even been able to lift a car to save their trapped child) and they felt no pain. All these are protective mechanisms to increase our chances of survival. There are numerous causes of fear. Some are better known than others, such as the fear of spiders (Arachnophobia), fear of blood (Hemaphobia), fear of heights (Acrophobia) and fear of exams (Testophobia). Others types of fear not so well known are fear of mirrors (Catoptrophobia), fear of hair (Chaetophobia), fear of being tickled by feathers (Pteronophobia), and fear of work (Ergophobia). Still, new causes of fear are being diagnosed. What is fear? Fear is not always adaptive. A small amount of fear before an important speech serves a purpose – it encourages you to focus on your topic and avoid making a fool of yourself. This is one of the types of fear that can be useful to sharpen our minds. However, some types of fear that are excessive can become crippling, or even make you feel like escaping when it is not appropriate to do so. When fear gets out of control, or when we fear something that cannot actually harm us, it can escalate to a point where it effects our daily functioning. Fear is no longer adaptive if we find we are constantly afraid of events that haven’t happened yet. Future-orientated fear is known as anxiety. While fear happens at the moment danger arises, anxiety is characterized by apprehension because we don’t know what’s going to happen next, and we cannot control upcoming events. Experiencing an alarm response when there is in fact nothing to be afraid of is known as panic. Many people are familiar with this type of fear and it is often (although not always) accompanied by a phobia. Panic is an immediate physical response to unrealistic and irrational fears. This can have a huge affect on both your emotional and physical well-being – as well as your ability to reach your full potential. While it is important to be aware of potential and real threats, it is just as important to react appropriately to them. For most of us, our initial startle response subsides as soon as we realize that there is no actual threat or danger. However, this is not always the case. 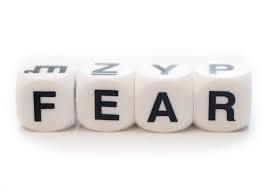 There are many people for whom fear becomes maladaptive, as they struggle with anxiety, phobias and panic attacks. Children are also at risk of overactive fear, as they are not always able to rationalize fears that are unrealistic or unfounded. What is fear like for children? Children experiencing fears and phobias feel very real threats and parents often have difficulty consoling or reassuring their child that there is actually nothing to fear. Childhood anxiety can have a negative impact on their healthy development and may predispose them to problems in later life. When a child grows older (especially around the age of 2), fears that were never an issue before suddenly rear their ugly heads. At the age of 2 and above, most children now know what it is like to be injured, scolded, or even lost. One of the major fears in children is the act of being separated from his/her parents. Fear of separation is common for both toddlers and scholl aged children, this is due to them being left at the babysitters, nursery, or school. While some children fret over their parent’s departure and return, others may fear their teachers, surroundings, or other children. Most of the time, this fearfulness with others will subside as children start to spend more time with their teacher and classmates. Another fear in children is fear of the dark. Fear of the dark is usually one of the biggest and hardest fears to conquer in children. Children usually have this fear well into their school aged years. Fear of the dark resonates differently with age, while younger children may be fearful of monsters lurking in the shadows, older children may fear burglars. Most families find it beneficial to leave a light on at night, with a gradual reduction happening over an extended period of time.